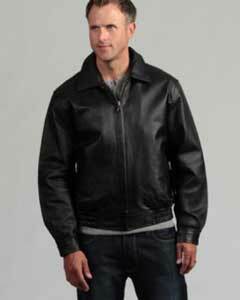 Men's leather jackets are really popular from the past century or so, projecting a style icon in the person who wears it. 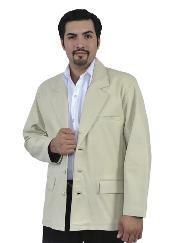 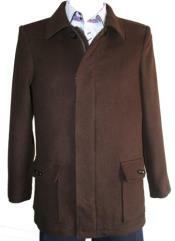 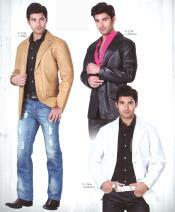 These jackets are an outer wear outfit that goes well for any casual and informal outing. 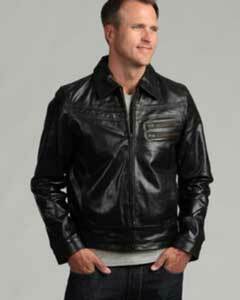 A classic leather jacket is one that is designed to depict a clean and polished look. 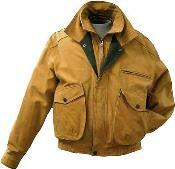 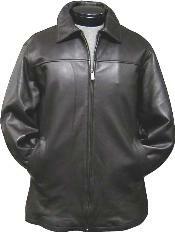 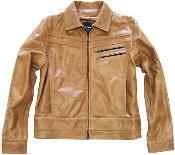 Leather jackets are popular among all age groups thus satisfying everyone's fashion needs. 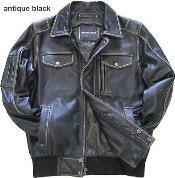 Some of the common colors in leather jackets include brown, black, grey and blue. 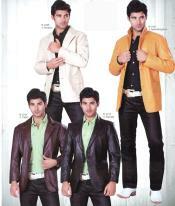 These are the colors that are in demand these days. 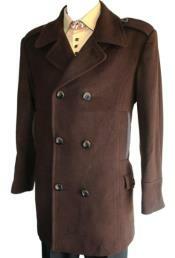 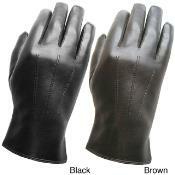 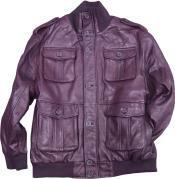 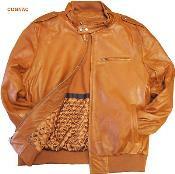 Various shades of these colors are also available for men's leather jackets. 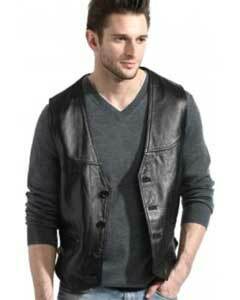 Wearing a classy leather jacket with a funky t-shirt instantly adds style to your personality. 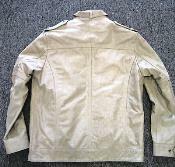 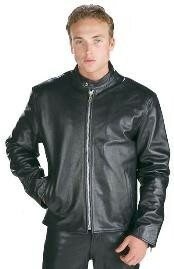 There are many variations in leather jackets as well. 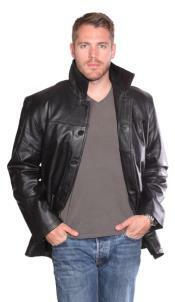 A leather jacket with a popped up collar does wonders to your looks. 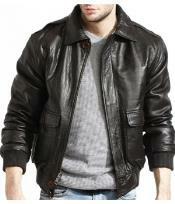 The way you carry yourself wearing such a leather jacket, instantly changes, as it adds high profile trend in your looks. 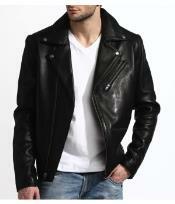 You can choose to wear a slim fitted jean, with a basic contrasting colored t-shirt and a leather jacket; this is a perfect combination for an outdoor outing that makes your personality shine like an outstanding piece. 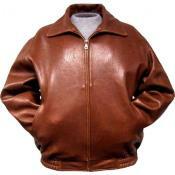 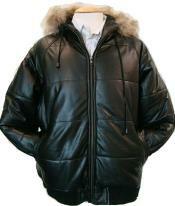 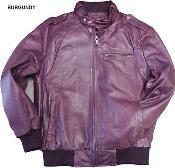 Many leather jackets possess hooded necks with a pure touch of color finish and cuts. 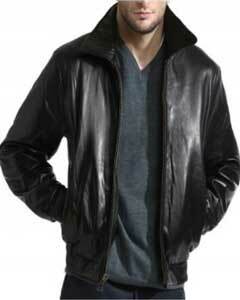 Basically leather jackets are considered as an informal wear and look really splendid projecting a cool dude look. 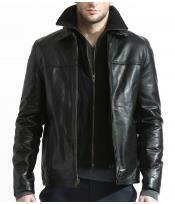 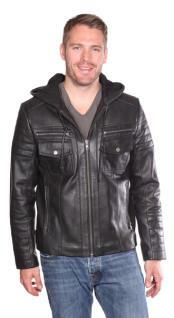 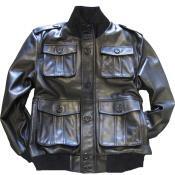 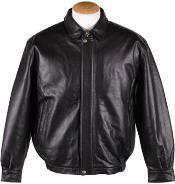 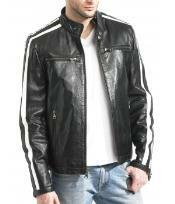 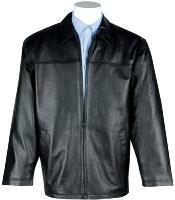 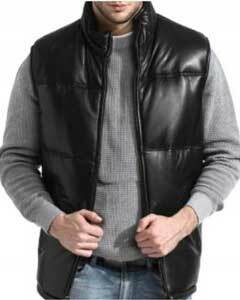 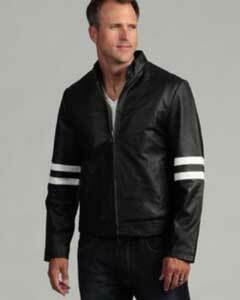 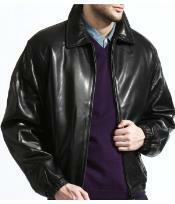 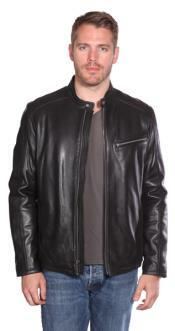 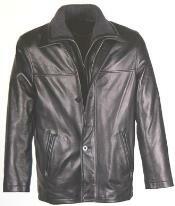 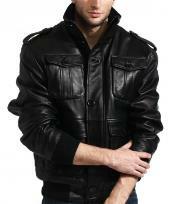 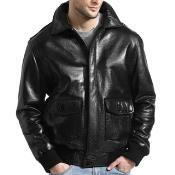 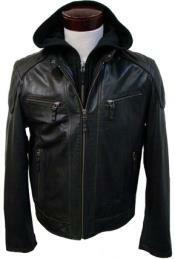 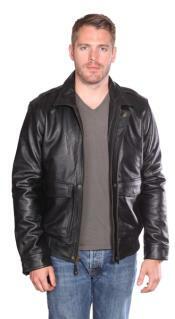 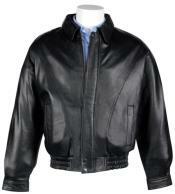 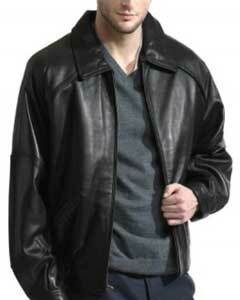 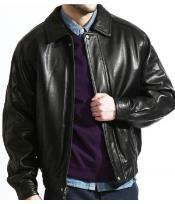 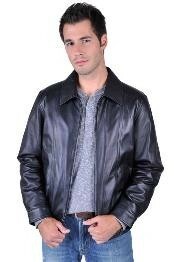 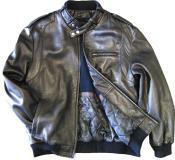 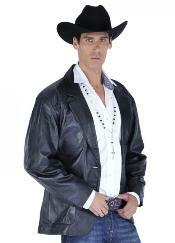 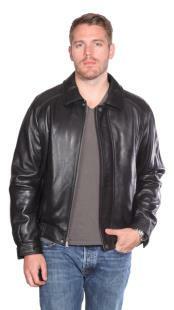 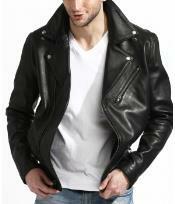 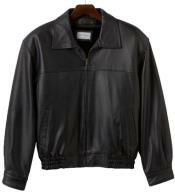 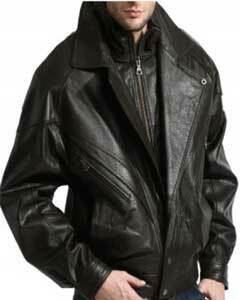 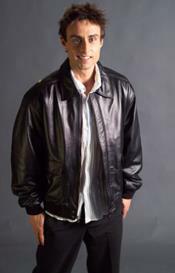 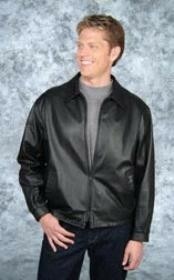 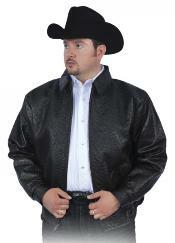 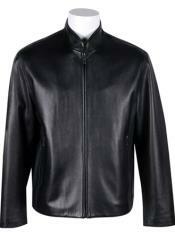 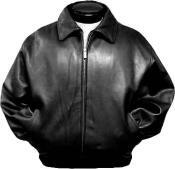 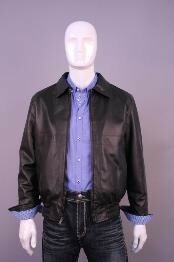 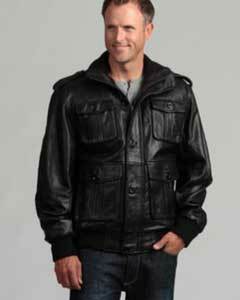 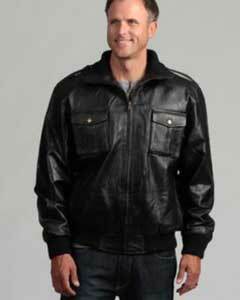 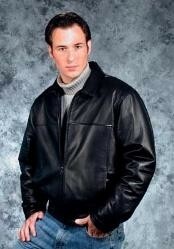 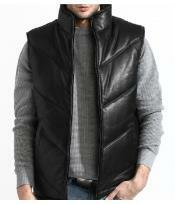 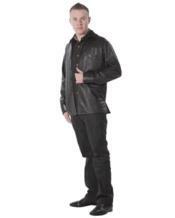 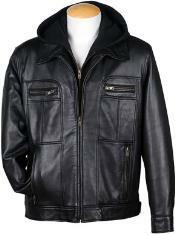 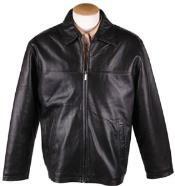 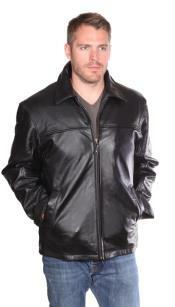 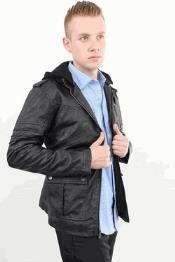 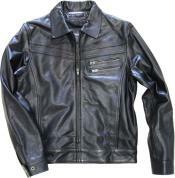 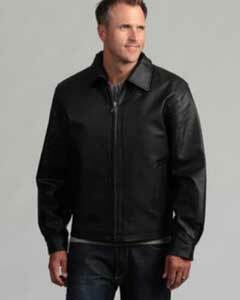 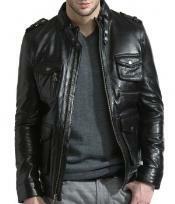 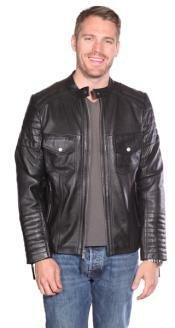 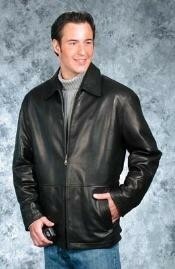 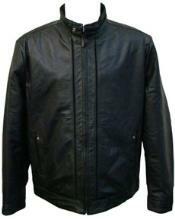 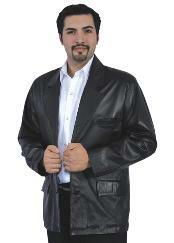 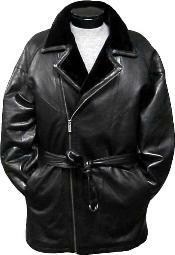 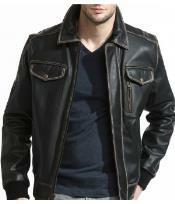 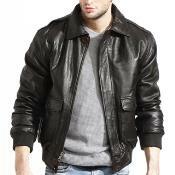 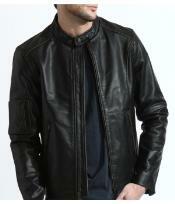 Mens black leather jacket are stylish and perfect fit garments that enforce a bold and inspiring look. 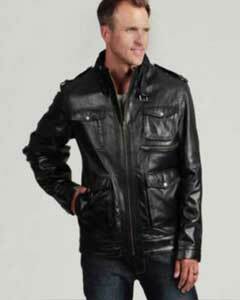 Perfectly designed leather jackets possess shoulder details that add a touch of masculinity to the elegant leather jacket. 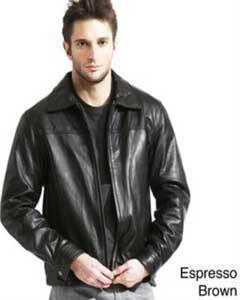 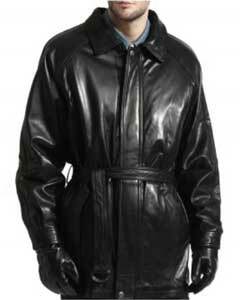 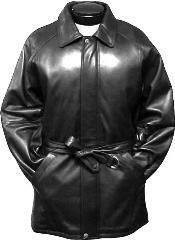 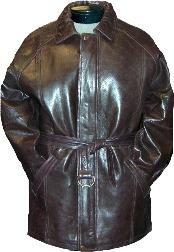 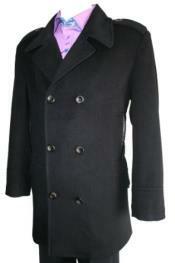 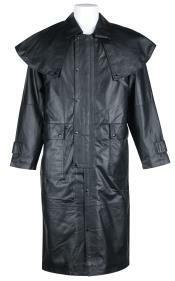 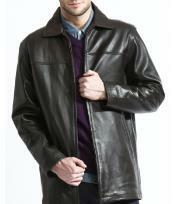 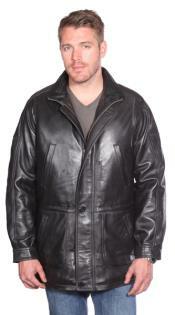 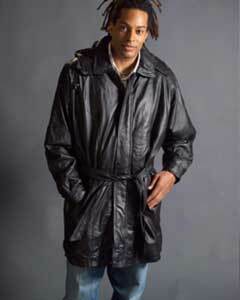 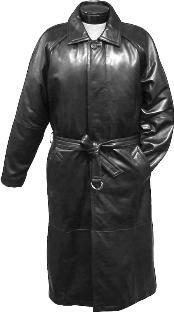 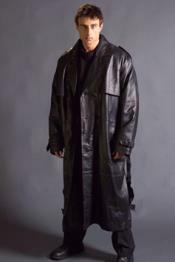 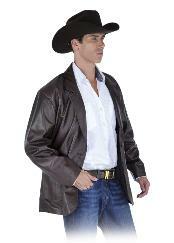 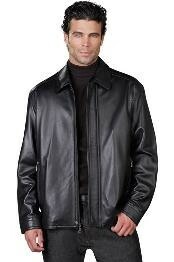 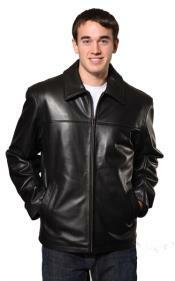 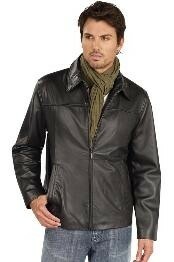 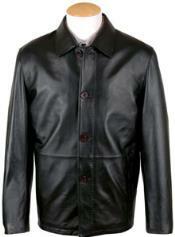 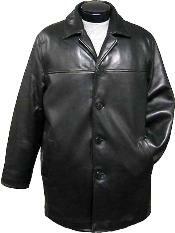 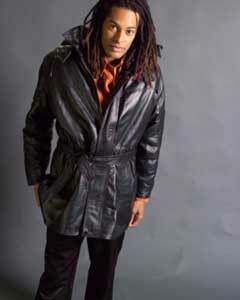 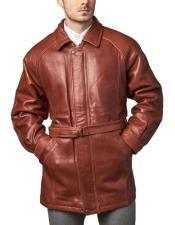 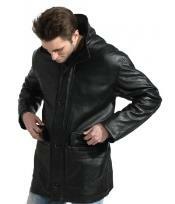 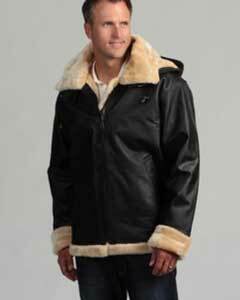 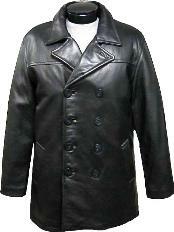 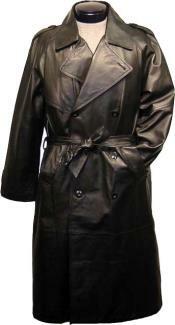 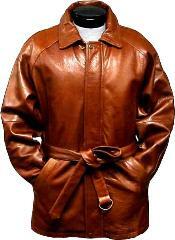 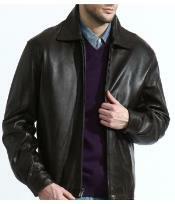 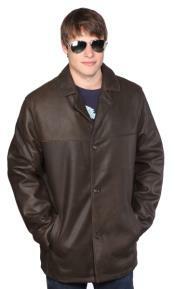 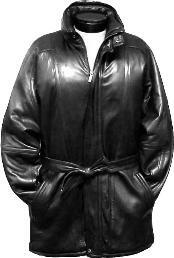 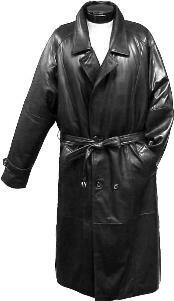 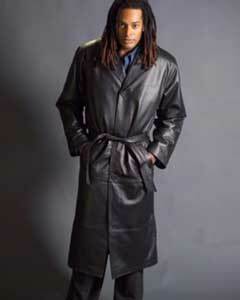 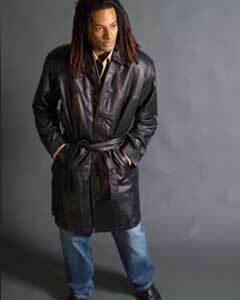 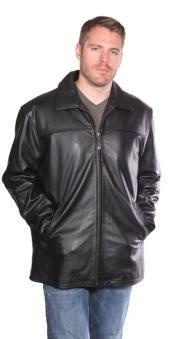 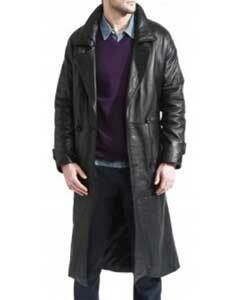 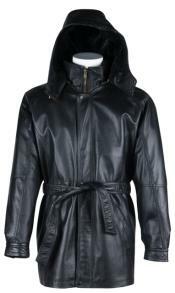 Men's leather jackets are a bit costly when compared to other men's wear dresses. 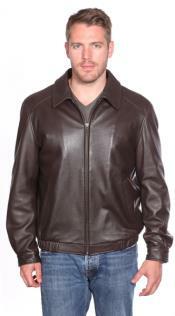 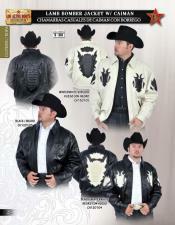 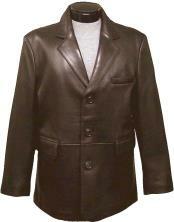 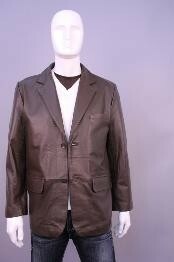 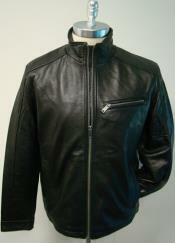 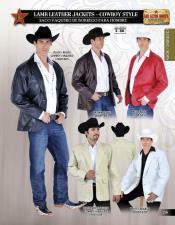 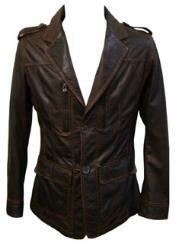 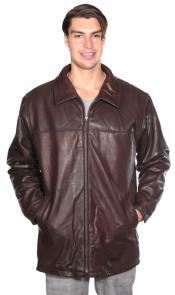 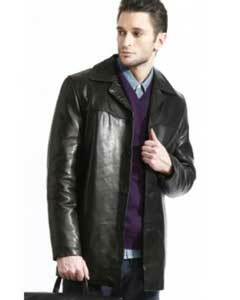 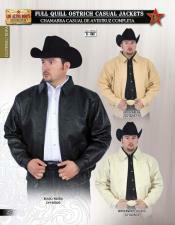 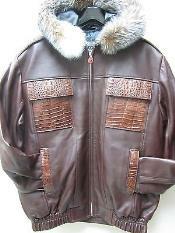 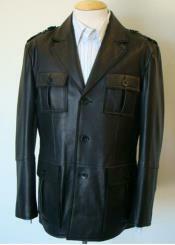 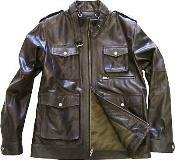 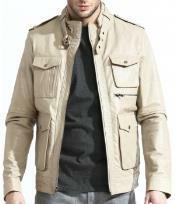 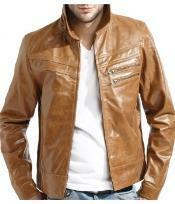 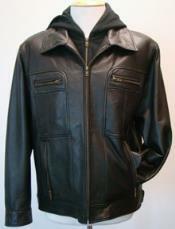 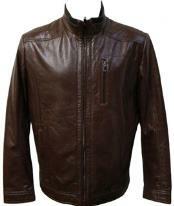 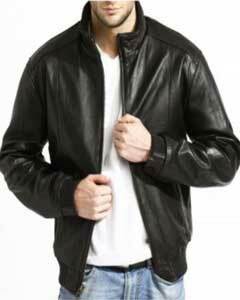 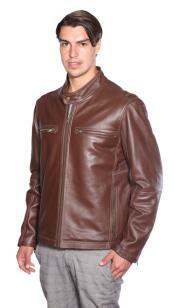 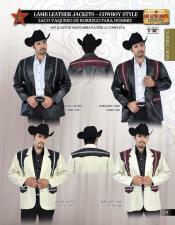 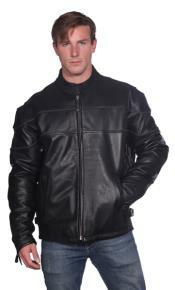 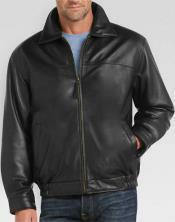 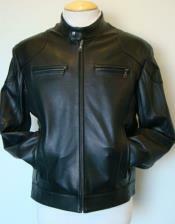 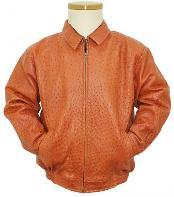 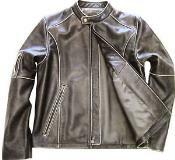 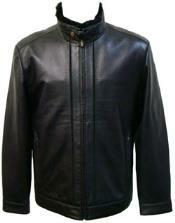 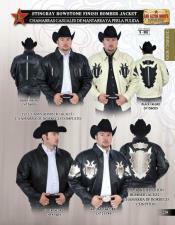 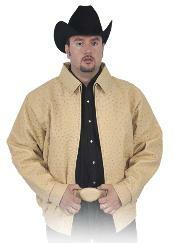 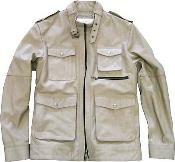 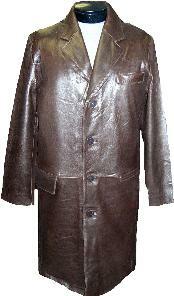 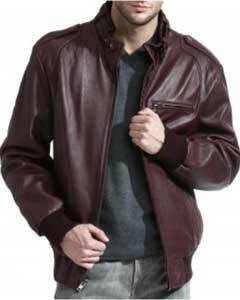 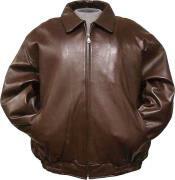 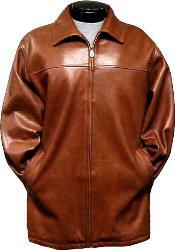 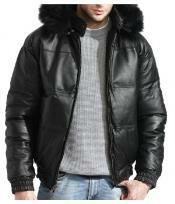 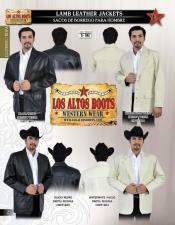 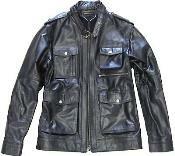 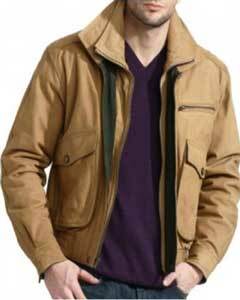 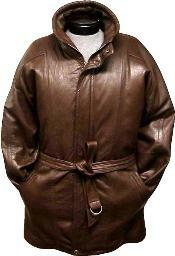 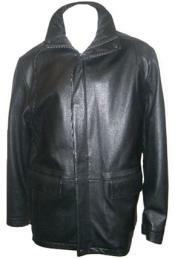 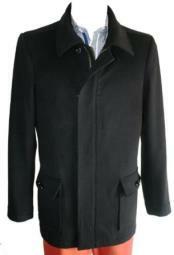 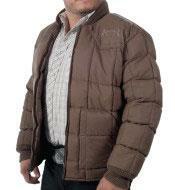 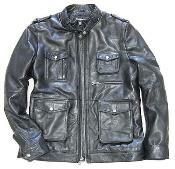 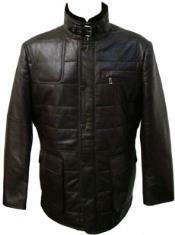 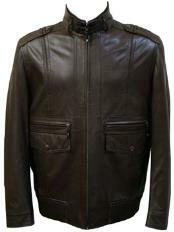 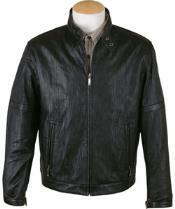 But many offers and discounts are provided for men's leather jackets so that they are affordable by common men as well.